President Trump has set January 31 as the date of announcing his Supreme Court pick to fill the vacancy created by the death of Justice Antonin Scalia. In 2016 Election exit polling, 2 in 10 voters (21 percent) said that appointments to the Supreme Court was the most important issue to them. These voters broke for Trump 56-41 percent. Exit polling also revealed that 7 in 10 voters nationwide say Supreme Court appointments were either the most important factor or an important factor in their decision to support a candidate. This is a critical appointment by President Trump as he seeks to solidify the trust the American people have placed in him and provide leadership that will preserve their values, freedoms, and rights of conscience. 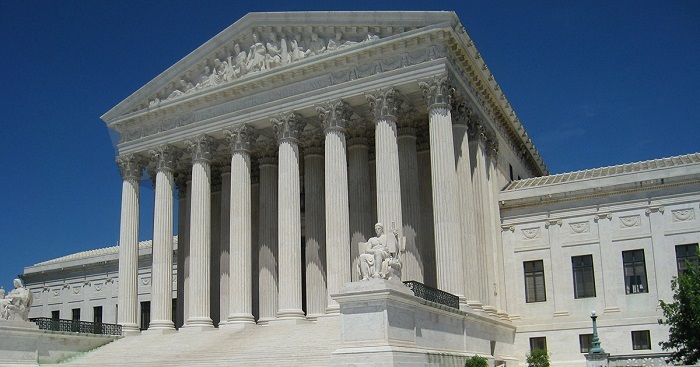 A recent poll conducted by the The Marist Poll revealed that 8 in 10 Americans (80 percent) say it is an “immediate priority” or an “important” one to appoint Supreme Court Justices that will interpret the Constitution as it was originally written. Fifty-three percent of Independents, 80 percent of Republicans and more than 4 in 10 Democrats (42 percent) also say it is an “immediate priority.” Almost 9 in 10 Americans (89 percent) also see protecting religious freedom as a priority, including 57 percent who describe it as an “immediate priority” and 32 percent who consider it an “important” one. The American people clearly have overwhelming support for a Supreme Court Justice who will uphold the original intent of the constitution and protect religious freedom. Senate Minority Leader Chuck Schumer recently vowed that he and his party will do everything they can to block a conservative Supreme Court nominee by the Trump administration—saying he is prepared to fight “tooth and nail” should Trump not choose a “mainstream” nominee. In reality, Schumer’s statement is extremely out of touch with “mainstream” America. What he fails to recognize is that the mainstream does not support his views. The GOP has control of the White House, U.S. Senate, U.S. House, and a majority of governorships and state legislatures for a reason. The fact is that one of the Republican Party’s most conservative platforms ever was adopted in 2016 and was accepted by the majority of America. Post-election polling showed that a majority of registered voters said the social issues in the Republican platform impacted their vote (51 percent), and 59 percent of Trump voters said that this impacted their presidential vote, compared to just 48 percent of Clinton supporters. The American people have clearly spoken, and unfortunately for the Left, it was not in their favor. Voters went to the polls and chose a more conservative president to pick a conservative originalist Justice to the bench. In the 5-4 Obergefell v. Hodges ruling, the High Court inserted itself into a significant moral debate and attempted to redefine the meaning of marriage for every American. In Women’s Health v. Hellerstedt, a 5-3 bench decision, the Court ruled that placing Texas abortion clinics in the same safety category as any other out-patient surgical clinic is too burdensome. This would have simply required abortionists to have admitting privileges at a hospital within 30 miles of the abortion facility in case there is an emergency or complications. Do we need to be reminded of Gosnell? These are just a couple of the many rulings that have made the Supreme Court a top concern for American voters. President Trump’s promise to nominate a Justice in the mold of the late Justice Scalia was a breath of fresh air to an American public that is increasingly concerned about judicial activism and how it is impacting the moral fabric of the country. While there is little doubt that Sen. Schumer will do everything he can to stop a conservative, originalist Justice, his views do not represent the mainstream views of the American people. The nation is eager for a Justice who will not legislate from the bench but instead respect the Constitution and interpret it as our Founders intended.